I heard on the radio yesterday that no one in the U.S. outside of cities in the northern mid-west (Chicago, Minneapolis, etc.) is allowed to complain about cold weather right now. Basically, if you don’t live in Chicago, you’re not that cold. Dear Radio Station: I live in the deep South, and I’m cold. I also heard it’s colder in most of the U.S. than it is in Alaska right now. Well. The Alaskans definitely got the better end of that climate change. Today where I am, the temps aren’t expected to get above freezing; I am so thankful I have nowhere to go. I’m also thankful we did our library run earlier in the week and are well stocked with books to keep us entertained through the cold weekend. 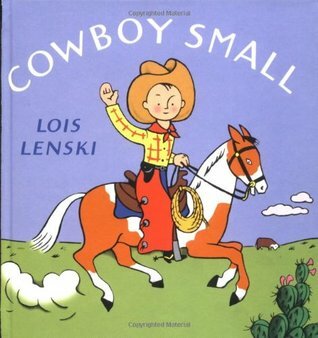 Another book we’re enjoying this week is Cowboy Small by Lois Lenski. Isaac has been asking over and over in the last week, “When I grow up, can I be a cowboy and ride a horse?” Any time your little boy asks to be a cowboy or pilot or sailor or fireman, it’s time to check out the Mr. Small books. Lenski takes readers through a day or two in the life of Mr. Small doing his work with her trademark illustrations and a few interesting details about whatever profession Mr. Small is working at in that particular book. The airplane one is a bit long for our attention span, and a little dated, but the other books are just right for a curious two-year-old boy. Finally, we just discovered Roxaboxen. Yes, we live under a rock. This book is on everyone’s favorite children’s book list, but for some reason, I thought it was a poem book (which my kids are not fans of) so I never picked it up. But last week I said, “Everyone should like poetry!” and checked it out. As you probably already know, it is not at all a poetry book. 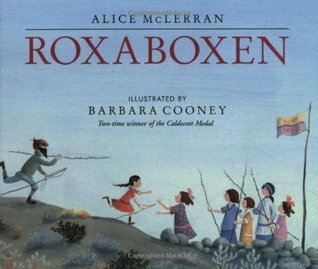 Roxaboxen is an imaginative book about a group of children who make a barren hill across the street into their very own town. Roxaboxen brought me back to the days when my sister and I used to cut through the wisteria vines and thorns in our backyard woods to make “rooms” in our fort. Every kid needs a fort, even if it’s just in a closet of your city apartment. 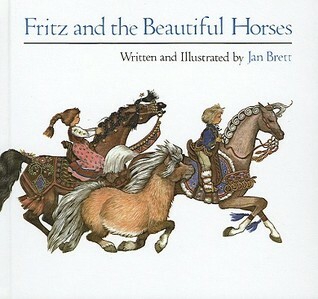 So if you’re looking for a great poetry book for kids, I can’t help you. But do read Roxaboxen, because it’s delightful. 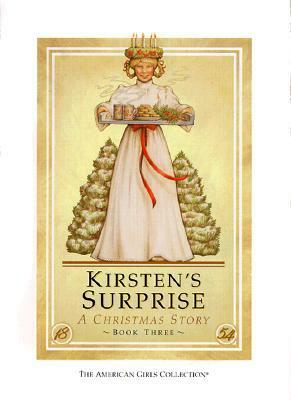 And make sure to check out other books illustrated by Barbara Cooney. After you read some books with your kids, you need some music to get them (and you) dancing around and burning off energy/calories. We’ve been listening to the Frozen soundtrack in every waking moment for a week now. I took Ella (4) to see the movie on Sunday, and she had the whole soundtrack memorized by Wednesday. It was her first movie theater experience. We had to do a good bit of processing all the drama in the first few hours after the movie, because Ella is a very perceptive and emotionally sensitive 4-year-old (in the best possible way! ), but then she decided she was a fan. 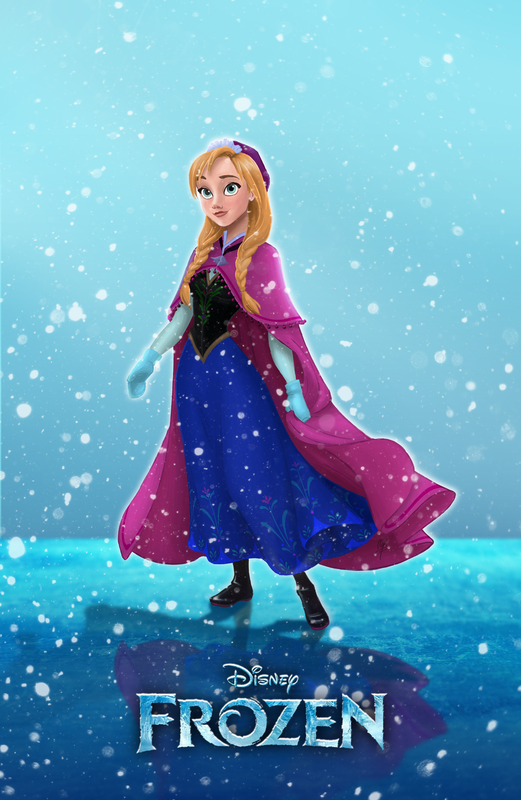 Can I just say how thankful I am for a Disney Princess movie that features warm clothing? Now I can say, “Anna wears long sleeves!” when I’m trying to convince Ella to put a shirt on under her dress-up dresses. She even wears tights and boots! Awesome. So that’s how we’re surviving the ice age/weekend. I hope you’re staying warm and reading lots of good books, too!